Gene and Claudia tried for a while to assist me with the Wife Problem. Unfortunately, their approach was based on the traditional dating paradigm, which I had previously abandoned on the basis that the probability of success did not justify the effort and negative experience. I am thirty-nine years old, tall, fit, and intelligent, with a relatively high status and above-average income as an associate professor. Logically, I should be attractive to a wide range of women. In the animal kingdom, I would succeed in reproducing. If you want to know more about The Rosie Project, you can read my review here. Click below (next to the cute froggy face) to link up your post! 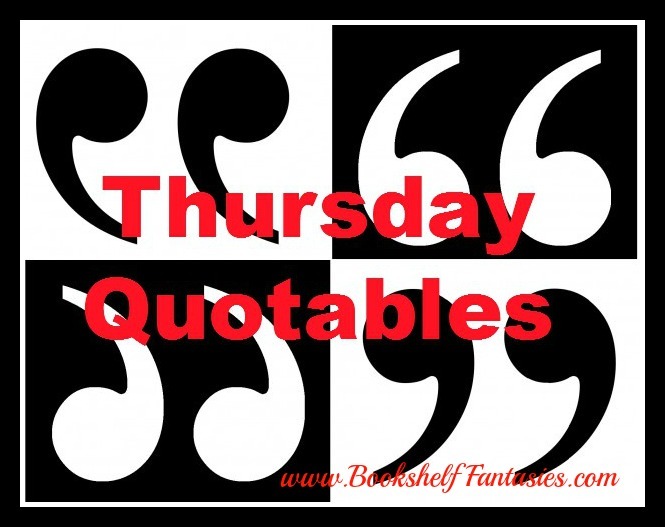 And be sure to visit other linked blogs to view their Thursday Quotables too. Have a quote to share but not a blog post? Leave your quote in the comments. 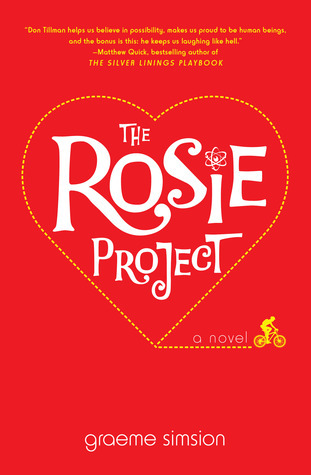 Thanks for adding a link to your review – I’ve heard so much good stuff about The Rosie Project! I’m not a contemporary romance person but this one almost (*almost*) sounds like something I can get into. Ha! I like your *almost*. 🙂 The Rosie Project does have romance at heart, but it’s a lot more than that too — so much fun! Thanks for your comment! I loved this book – it was just the right light, easy, laugh out loud antidote I needed at a particularly stressful time earlier in the year.